Learn to read Hebrew or improve your reading by examining the the prayers and blessings of our services and rituals. The current focus will be on learning the prayers and blessings we use during worship service. Rabbi Jana has been teaching Hebrew for over 35 years. Click on the books on top of the page to go back to the Home page. If you want to save a file, just right click on a link to "Save Target to" your computer. 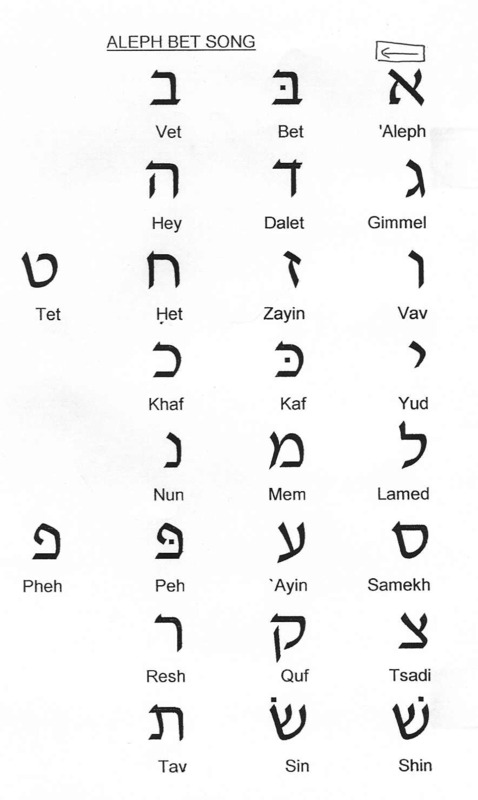 (There are a few options of how to learn the Aleph Bet.